Golden eagles will be fitted with new tracking technology able to pinpoint death locations in a bid to cut wildlife crime. The satellite tag has an early warning system to detect unusual behaviour and will provide more accurate information on deaths. Environment Secretary Roseanna Cunningham said the tags should “make a real difference in deterring would-be criminals” as they will give an instant fix on birds which die. The trackers will also give more in-depth information on raptor movements and behaviour. 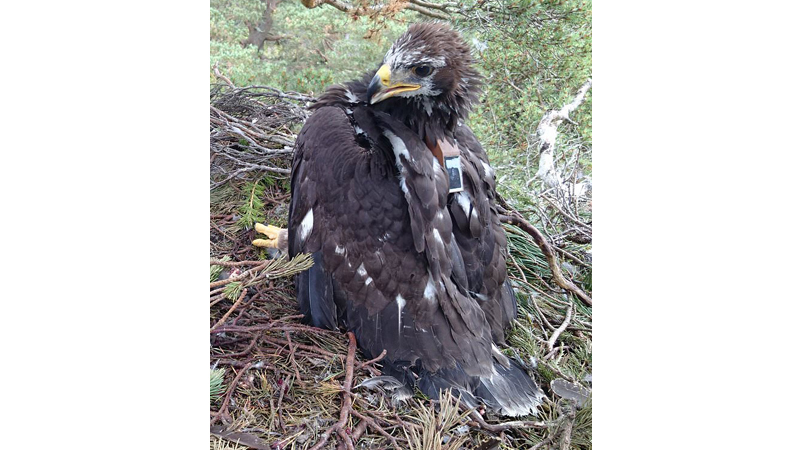 Golden eagles at the Cairngorms National Park will be fitted with the tags in an 18-month trial which, if successful, could be extended to cover the species elsewhere. The technology could potentially be miniaturised to fit on smaller tags for other birds of prey, such as hen harriers. It uses the “geostationary Iridium” satellite network and ensures signal information is always available, while multiple sensors immediately send a distress signal and exact location back to base if unusual behaviour is detected. This means rapid identification and recovery of any tagged birds which die and provides detailed information on their movements in the minutes leading up to their death. Ms Cunningham said: “This is great news for improving our understanding of eagle behaviours, and the fight against wildlife crime. Published in Daily Times, March 24th 2019.